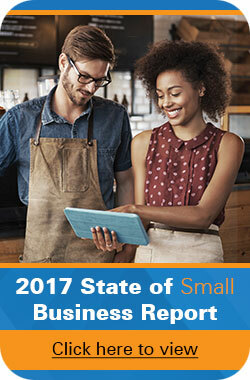 When it comes to running your small business, you need to be able to evaluate its performance. Just as your ‘check engine’ light indicates there is a problem with the performance of your vehicle, your business too contains indicators worth monitoring. If not just for your own sanity, but to help you become more successful and achieve your goals effectively. Today we’ve listed 3 key components you should be measuring in your small business. The failure to budget and successfully manage your financial assets is one of the biggest factors to why small businesses fail. Evaluate your financial activities through your income and business expenses. Should you buy a new printer now or wait until next month? By comparing these results with past performances you will be able to measure and effectively budget business expenses for the future. Even if you are a brick and mortar business, it’s likely you still have a website and e-commerce section. By tapping into Google’s free Analytics tool, you can measure web traffic and get in-depth insight into customer behavior while they are touring your site. In addition to knowing the amount of traffic, you will be able to measure e-commerce conversion rates and tweak as necessary to drive overall revenue and business performance. Are you new to Google’s Analytics tool? No worries! Here’s a quick guide to help you get started with Google Analytics. Know your customers. Are they happy with your product or service? One of the best ways to measure customer satisfaction is by listening to the conversation. Become active in such digital arenas as Twitter, Facebook, LinkedIn, and message boards. It’s in these areas you’ll find complaints, reviews, and peer recommendations of your business. Just as your car needs to be routinely maintained, so does your small business. Be aware of which indicators are most important for your overall success and take action in tracking their performance. What methods do you find most successful in measuring your small business’ performance? Share your thoughts with us in our comments section below! Hi.. although I am web designer – I can’t claim that web traffic is a key component to most of my clients (except e-commerce businesses). Much more important is the ability to sell yourself.